NHS Continuing Healthcare is a fully-funded package of care available to some people with disability or ill health. It covers the full cost of a person’s care and accommodation, and it is not means-tested. Care is expensive, so NHS Continuing Healthcare can relieve a huge financial burden on some individuals and families. According to a National Audit Office report, 160,000 people received NHS Continuing Healthcare in 2015-16. But many people who might be eligible aren’t made aware of NHS Continuing Healthcare. This is partly because there is a widespread lack of understanding about the system, even among health and social care professionals. Am I entitled to NHS Continuing Healthcare? To be found eligible, an individual usually has to go through a two-stage assessment process. The system can be quite complex and challenging, and there is a great deal of regional variation in the proportion of people who pass the eligibility tests. This is often referred to as a ‘postcode lottery’. But we are committed to helping people to find their way through the system, to get a fair assessment, and to receive NHS Continuing Healthcare if they are entitled to it. in care fees for our clients to date. 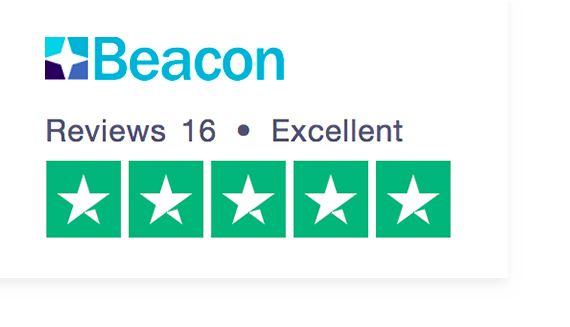 Beacon is widely regarded as the UK’s leading experts in NHS Continuing Healthcare, so you can trust all the information you find on our website. Check our FAQs section for quick answers to common questions. For more detail, download our FREE toolkit, which is a comprehensive guide to the system. At Beacon we provide expert advice and representation for families seeking NHS Continuing Healthcare. Whether you’re taking your first steps to find out if you or your loved one might be eligible, or you’re embroiled in the system and at your wits’ end, we can help you. Since 2014, we have provided the Free Information and Advice Service on behalf of NHS England. Call us today on 0345 548 0300 and register to receive our free comprehensive guide to NHS Continuing Healthcare. Please note that this is a very busy time on the helpline, so the line may be busy. If you leave a voicemail our team will get back to you as soon as possible. The current waiting time is around one week. We offer a full range of affordable specialist advocacy and casework services designed to provide you with as much or as little support and advice as you need at any stage of your assessment, appeal or review. We are friendly, expert, and diligent – keeping you informed and involved at every step of the way. Our clients report a 96% satisfaction rate between ‘Good’ and ‘Excellent’. Read what people say about us here, and on Trustpilot. Assessment Support – expert help to prepare for your assessment, and a Beacon caseworker there with you at the meeting. This service will give you the best chance of a positive decision by ensuring you present a thorough case to the funding panel, first time. Expert Analysis – thorough scrutiny of your assessment and decision, and advice on your chance of a successful appeal. Full Appeal Management – a complete expert case management service if you wish to appeal a decision. Complaints Service – handling of a formal complaint about NHS Continuing Healthcare on your behalf. As a social enterprise we cover our costs and then donate any excess profits to charity. We have a clear pricing structure, and our fees are a fraction of the cost of other firms. You’ll find more information about prices on the pages about each of our services, and for a typical cost comparison, take a look at this page about our fees.